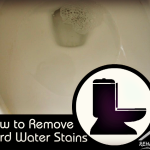 Living on well water means we deal with some really bad hard water stains in the toilet, on countertops, and in the dishwasher. Unfortunately it can build up and get deposits even in a short amount of time. This means that we have to keep a closer eye on things like our dishwasher. 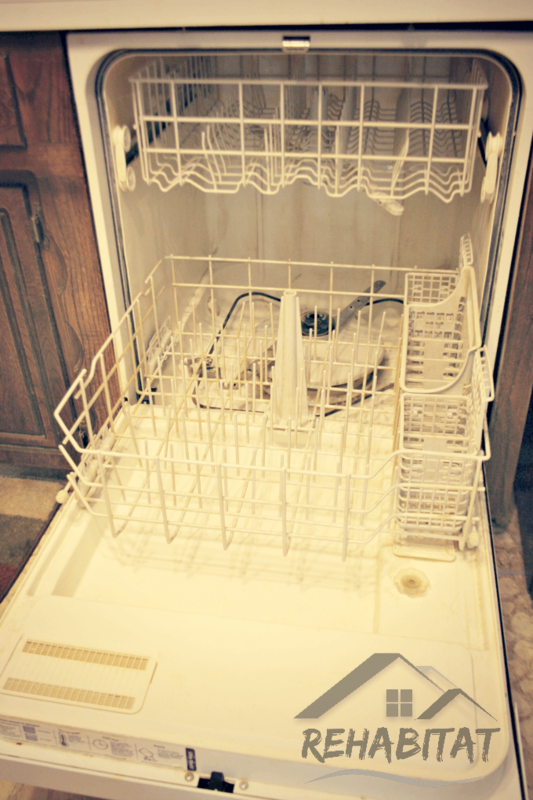 Therefore, we thought it would be nice to share some hard water dishwasher tips to help ease the headache and cut down on time spent cleaning hard water stains. Affiliate links included for your convenience. Thank you for choosing to support our family! Much to our surprise, our dishwasher got so nasty looking in only a few weeks. We knew we had a bad problem with hard water at our house and with lots of red dirt, many times it leaves a red-tint to the mineral deposits. However, pulling dishes out of a dishwasher that looked like this (see cover photo), just is not appetizing at all… even if you know for a fact they’re clean. Thus, we set out to clean it and find easy ways to maintain it once cleaned. I had found where One Good thing by Jillee had mentioned using vinegar to clean this dishwasher in an empty cycle. I thought I would try this, even though I knew that many times vinegar personally made our hard water worse. Still worth a shot though, right? I didn’t see any change. Bummer! However, I did notice a little bit of difference in that my measuring cup did not look so bad. So that’s where I got thinking a bit. 1. Instead of using just one cup of vinegar, I upped it to two and placed it in the top rack of the dishwasher right in front of the water opening. 2. I set the dishwasher to the hottest temperature and started it on the regular cycle. 3. After the initial rinse happened and out dishwasher reached “water miser”, which for many is just called the short cycle, I opened it up to wipe it down. This was after about 15 minutes of the first rinse. I took out a Scotch Brite Greener Clean non-scratch sponge and I gently wiped every area that had staining, discoloration, and sediment. (Side note: I really like these sponges because not only are they biodegradable, but they are very gentle while still being very effective at scrubbing). 4. After that, I closed it again and let it rinse for a few more seconds. Then I opened it back up just to see if I had missed a spot while wiping. I had gotten most of it, and now the water at the bottom looked DISGUSTING… but at least it wasn’t on the walls. 5. I walked away and let the dishwasher finish doing its thing. 6. After all was said and done I added some washing soda in the bottom. If you don’t have washing soda, baking soda will do. However, washing soda is more effective at degreasing, removing stains, AND softening water. So maintaining is half the battle if not more, especially with a hard water dishwasher. 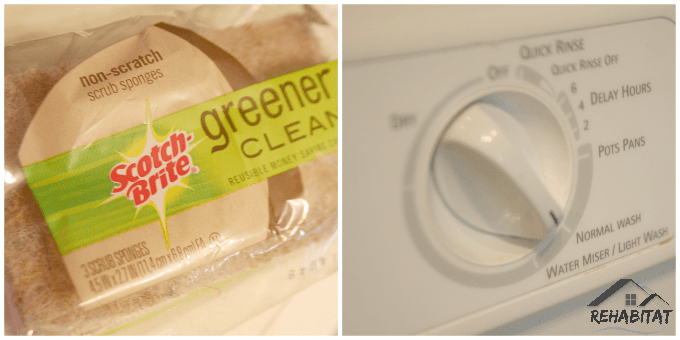 Here are some things we have used in our dishwasher while washing dishes to help both the appearance of our dishes and to cut back on the horrific, ugly hard water stains. So our list is below, but just note that we do not use all of them together; they are things we have had on hand and each of them, individually has been found effective. Clagon – We also use this in our washing machine for cleaner clothes, diapers, and machine. It is great because it attaches to hard water sediment, carrying it away as the water drains. We have also used both liquid and powder. It can be a little hard to find in stores (I have only ever found the small $5 liquid version), but worth it to buy online and ship. Washing Soda – This also can be used with dishes and is completely natural (Sodium Carbonate). It cuts down on stains and softens the water in general. [Again, you can use baking soda, but it just doesn’t work as well for us and actually caused a bit of build up for us]. Lemi-Shine – This was a product introduced to me by the Pioneer Woman as a citrus based product to clean hard water stains. Since she lives fairly close to us (Oklahoma in general), I figured we had to try to because we likely had some of the same issues. 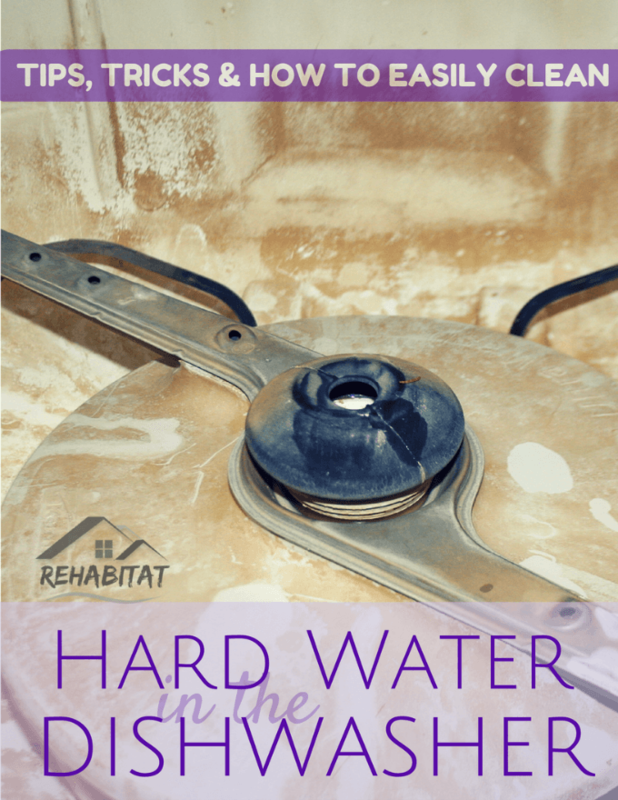 For more on our cleaning adventures both with hard water in our own home and maintaining a rent house, click the images below. Oh I wish I had seen this earlier! We’ve been struggling with our dishwasher. Tang used to work but now, it’s 6 years old and a real PITA. I caved and let hubby buy the junk to clean 🙁 Bookmarking for next time. We are getting ready to move, but currently live with well water. 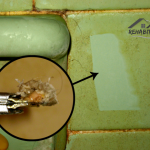 It has been a challenge to find a “green” way to remove the hard water stains. I’m really glad there’s an option, because I’ve been using Toilet Works! It is definitely difficult and also not one-size fits all even inside the same house! Nice tips! !This will be one task that I will be adding to my monthly routine.Thanks for sharring!